Training, coaching, and capacity-building are currently some of the top services that companies are newly investing in. Ride this wave, and kickstart your next training engagement with this training proposal template. 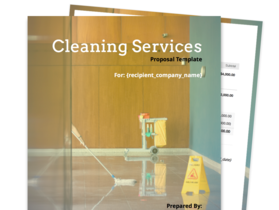 This template comes with ready-made sections that keep your services, fees, and terms organized in a polished presentation. 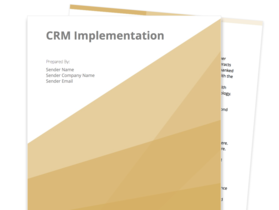 Lastly, close a new business engagement quickly with built-in eSignatures. 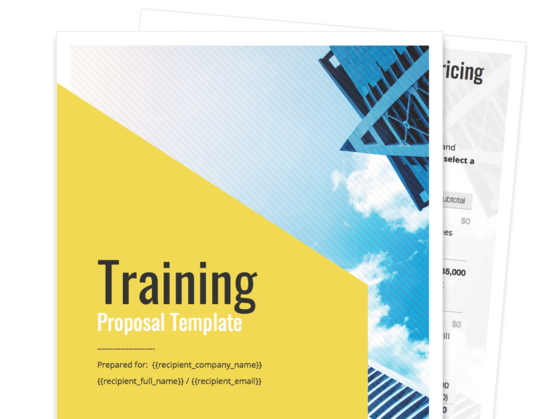 Take advantage of a professional, customizable proposal template that you can use for each new training engagement you want to make. Showcase a well-rounded portfolio with text, photos, and multimedia attachments of previous training work you’ve done. Outline the training methods that you feel will benefit each unique client or staff department. Walk your clients through your pricing model and the estimated cost per training service. This section will be your address to the company and the company division that you are reaching out to—be it management, sales, finance, HR, or others. Here, you can cite proof that employee training is a great investment for the company’s profits and productivity. Afterwards, talk a little about how your attached training plan will help contribute to the company or the division’s unique goals. This is where you can cite short details about your proposed training engagement, such as where the training can take place, what activities can constitute the training module, and what you will need per training session. You can also add relevant multimedia—such as a training demo video—to help your prospective clients visualize how a training session might go. In this section, you can get a little technical about your proposed training plan—such as how you will assess the organization’s needs, how you will implement the plan according to schedule, and how you will conduct the evaluation stage. In this section, do give your prospective client a run-down of your available training packages, and what each package includes. Clearly state how much the cost estimate will be per person and per hour of service. You can also list down any customer discounts that will apply. This is where your prospective client can attach their e-signature, stating their agreement to the training arrangement. 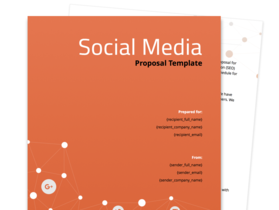 The e-signature feature on this proposal template will make signing a breeze.